Taking time to plan a handling system can save time and money by improving efficiency while decreasing the risk of occupational injuries and stress caused to animals. Katie Brian gives Laura Bowyer some pointers. Getting the dimensions right for key elements of a handling system is vitally important, says Ms Brian. She says: “Measure the sheep using the system, measure the parts which work in the existing system and note the dimensions of successful systems on other farms. “For low density holding areas in the system, the outside boundary fence must be higher than 900mm to 1,000mm. In these areas, 2.5 to 3 sheep per m2 should be given, and a 30 to 40 degree angle to the entry of the race is essential, as a funneled race will cause jumping and jamming. The lead up to the forcing area must be roughly 3m wide and Ms Brian advises putting no more than 100 sheep in the forcing area. These systems require an even flow of sheep to work effectively, and should be more 3m long, says Ms Brian. The exit of the race should be clearly visible to the sheep and at eye-level and automatic gates can be useful if labour is short. The position of the race can be important, and sheep appear to move more easily into the sun, with their shadows behind them, although low, early morning sun can blind them. Poor handling of cattle cannot only be dangerous, but can also waste time and jeopardise the quality of their meat. 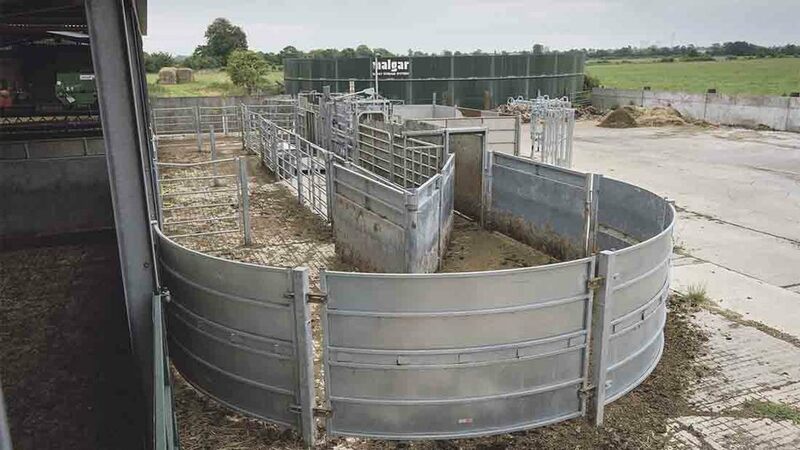 When designing cattle handling systems, 90 degree corners should be avoided as they are perceived by cattle as dead ends, and instead opt for circular and curved layouts where possible. Crowding pens should provide enough space for cattle to turn and follow one another up the race. Similar to sheep systems, one side of the race entry should be kept straight, while the other angled at 30 degrees. This will allow the animal to see up the race with their narrow binocular vision. These should be built on a gentle curve or in a straight line, allowing two straight cattle lengths before the first turn. The curve should not be so tight that it gives the appearance of a dead end.